What’s the main role of a father? Once upon a time, a dad would tell you it was working to support the family financially and occasionally roughhousing with the kids — and leaving the touchy-feely nurturing stuff to mom. In a chapter in the third edition of the “The Handbook of Parenting,” published March 8, two developmental psychologists do away with those old, oversimplified tropes of fatherhood while providing an update on the last 15 years of research on father-child relationships and mapping out where the field of study is headed next. Gone is the assumption that fathers exclusively provide for their family’s physical needs and don’t provide their children with emotional support. In fact, when Cookston asked 400 fathers to list three things they do well as dads in 2012, only one in four mentioned providing financially for their children. Instead, fathers were more likely to mention talking with and helping their children and promoting an emotionally healthy relationship. Over the last two decades, scholars of family life have moved to a deeper understanding of the unique importance of fatherhood and are asking more nuanced questions as well, according to Cookston and his co-author Ross Parke, a professor emeritus at the University of California, Riverside. 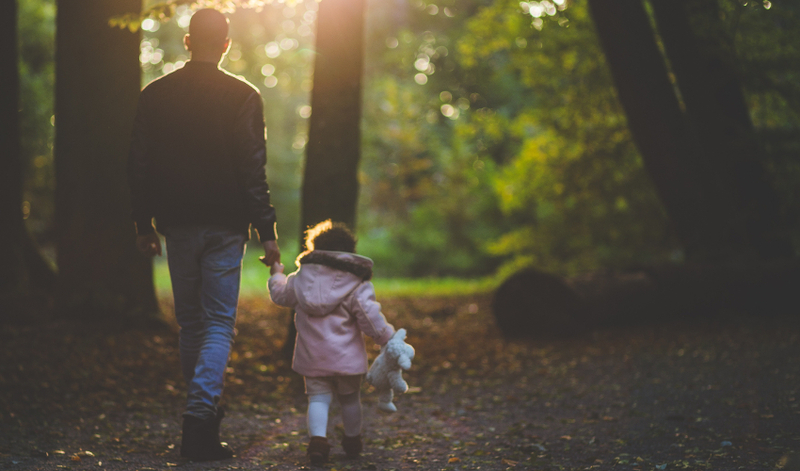 According to Cookston, studying fatherhood is a starting point for broader societal conversations about the roles that fathers and men play in families. “A really big contribution of this research is a space to encourage men to talk about these ideas, to engage with them and to question their parenting,” he said. For instance, the duo point to other research showing the newly understood importance of a child’s sense of “mattering” in the world and how fathers contribute to those feelings. For children, explained Cookston, “your father’s performance of warm, connected, ‘asking about you’ questions are predictive of later senses of feeling you matter to your dad.” That sense of mattering is key to a child’s development. Researchers are also moving beyond simply looking at how fathers act to focus instead on how they think about their own involvement in their children’s lives. When asked about the most important things they provide for their families, low-income fathers tend to talk about material support — while dads of more means are more likely to bring up emotional involvement and being available for their kids. Another focus is to point out that fathers don’t just fit into one mold. “In the chapter we draw attention to the diversity of fathering experiences, especially as those experiences fall outside the traditional image of a father as a heterosexual cisgender man in a two-parent family,” Cookston said. For instance, while men in two-parent families certainly act as fathers, men continue to be fathers after divorce. Similarly, the chapter addresses the body of research on fathers in the military, “transnational” fathers who move abroad to support their children, and incarcerated fathers, all of whom are just beginning to gain the attention of researchers. And as societal norms around fatherhood change, some questions have no easy answer. Cookston points to the choice of some fathers to take paid family leave and how being the first employee to do it in a particular workplace can be a risky professional move. “How do we get men to take an interest in self-evaluating and trying to make a decision to be a different kind of parent — more gender-equitable, more engaged in a child’s life — while also not losing status in whatever employment area they’ve established?” he asked. The answer to that question, perhaps, will have to wait for the fourth edition.